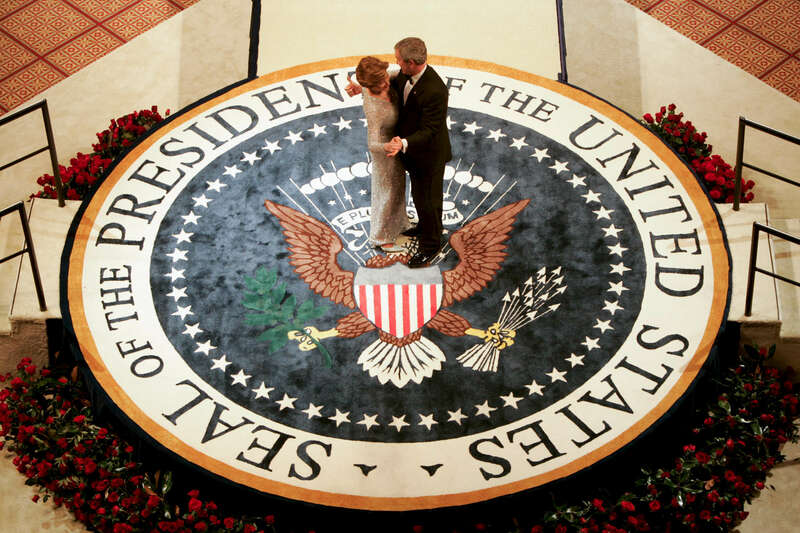 President Bush, Laura Bush: Inaugural Ball #9, Commander-in-Chief Ball, National Building Museum. Washington, DC. The Bushes dance on large Presidential Seal.